Davis Cup, United States at Australia, 4 p.m.-midnight (live). Davis Cup, various ties, 5 a.m.-4 p.m. (live), 8 p.m,.-midnight (repeat). Davis Cup, United States at Australia, 5-8 p.m. (live). Davis Cup, various ties, 3 a.m.-3 p.m. (live), 10 p.m.-midnight (repeat). Davis Cup, various ties, 5 a.m.-1 p.m. (live), 2 p.m.-midnight (repeat). Wednesday-Sunday -- Little Mo Internationals, Rancho Las Palmas Resort & Spa, Rancho Mirage, Calif.
Thursday-Saturday (U.S. time) -- Davis Cup, first round, United States at Australia. Thursday-Sunday -- Pacific Coast Men's Doubles Championship (including Cal, Stanford, UC Davis), La Jolla, Calif.
March 7-20 -- BNP Paribas Open, Indian Wells, Calif. 2015 champions: Novak Djokovic, Simona Halep, Vasek Pospisil/Jack Sock, Martina Hingis/Sania Mirza. March 9 -- Fresno State men at UC Davis, 2 p.m.
March 11 -- UCLA women at Cal, 1:30 p.m.
March 11 -- USC women at Stanford, 1:30 p.m.
March 12 -- USC women at Cal, noon. March 12 -- UCLA women at Stanford, noon. March 12 -- Fresno State women vs. Sacramento State at Rio Del Oro Racquet Club, 3 p.m.
March 12-13 -- Hornet-Aggie Golden State Invitational (men) at Sacramento State andUC Davis, times TBA. March 22 -- Saint Mary's women vs. Sacramento State at Rio Del Oro Racquet Club, 1 p.m.
March 28-April 3 -- USTA International Spring Championships, Carson, Calif.
April 1 -- Stanford men at UCLA, 3 p.m.
April 1 -- Cal men at USC, 3 p.m.
April 2 -- Stanford men at USC, noon. April 2 -- Cal men at UCLA, 3 p.m.
April 4-10 -- Easter Bowl, Indian Wells, Calif.
April 3 -- Stanford women at Cal, 11 a.m.
April 15-17 -- Maze Cup (Northern California vs. Southern California juniors), Alpine Hills Tennis & Swimming Club, Portola Valley. April 16 -- Stanford men at Cal, noon. April 16 -- Cal women at Stanford, noon. April 16-17 -- Fed Cup semifinals, World Group playoffs (United States at Australia). April 16-17, 23-24 -- NorCal Junior Excellence, Rio Del Oro Racquet Club, Sacramento, Calif.
April 20-24 -- Pacific-12 Conference Men's and Women's Championships, Ojai, Calif.
April 27-30 -- Big West Conference Men's and Women's Championships, Indian Wells, Calif. www.bigwest.org. April 28-30 -- West Coast Conference Men's and Women's Championships, Claremont, Calif.
April 28-May 1 -- Mountain West Conference Women's Championships, Fort Collins, Colo. www.themw.com. April 29-May 1 -- Mountain West Conference Men's Championships, Las Vegas. www.themw.com. April 29-May 1 -- Big Sky Conference Men's and Women's Championships, Gold River Racquet Club, Gold River, Calif., www.bigskyconf.com. April 29-May 2 -- USTA National Men's, Women's and Mixed 30 Indoor Championships, Spare Time Indoor Tennis Center, Gold River, Calif.
May 13-14 -- NCAA Division I Men's and Women's Team Championships, first and second rounds at campus sites. May 19-24 -- NCAA Division I Men's and Women's Team Championships, round of 16 through finals, Tulsa, Okla.
May 25-30 -- NCAA Division I Men's and Women's Singles and Doubles Championships, Tulsa, Okla.
May 22-June 5 -- FRENCH OPEN, Paris. 2015 champions: Stan Wawrinka, Ivan Dodig/Marcelo Melo, Serena Williams, Bethanie Mattek-Sands/Lucie Safarova, Bethanie Mattek-Sands/Mike Bryan. Fortunately for Florida, Krista Hardebeck is a senior. For the third time, Stanford's Hardebeck won the clincher against the rival Gators. No. 109 Hardebeck outlasted No. 72 Josie Kuhlman 6-4, 3-6, 7-5 on Court 4 today, lifting the 16th-ranked Cardinal (5-2) to a 4-3 victory over the seventh-ranked Gators (5-2) at Stanford. Hardebeck, from Santa Ana in the Los Angeles area, also clinched Stanford's 4-3 win over Florida in the 2013 NCAA semifinals and the Cardinal's 7-0 thrashing of the Gators during the 2014 regular season. Stanford and Florida have combined to win four of the last six NCAA team titles (2010-13). UCLA and Vanderbilt have earned the last two NCAA crowns, in that order. 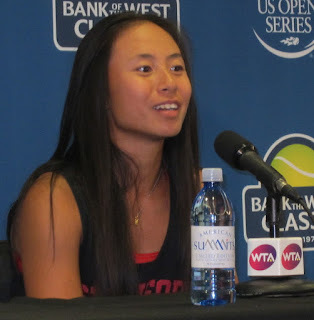 Carol Zhao, last year's NCAA singles runner-up, made her season debut for Stanford less than 24 hours after losing in the doubles final of the $25,000 Morgan Run Women's Open in the San Diego suburb of Rancho Santa Fe. Zhao, a junior from Canada, held off 12th-ranked Brooke Austin 6-3, 3-6, 7-5 on Court 1. 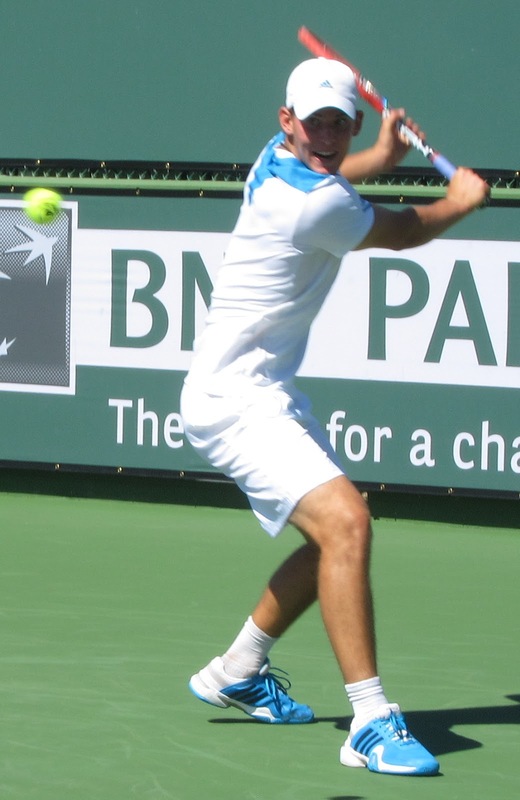 Austin, a sophomore from Indianapolis, reached the semifinals of the $50,000 Sacramento Challenger last July. ITF Women's Circuit in Rancho Santa Fe -- Top-seeded Zhang Shuai of China topped unseeded Vania King of Long Beach 1-6, 7-5, 6-4 to win the Morgan Run Women's Open. Zhang, who needed 2 hours, 36 minutes to subdue King in a battle of 27-year-olds, reached the Australian Open quarterfinals as a qualifier last month. She had been 0-14 in Grand Slam tournaments before stunning second-seeded Simona Halep in the opening round in Melbourne. King, a two-time Grand Slam champion in women's doubles and former Sacramento Capital in World TeamTennis, continued her comeback from a herniated disc in her neck. She did not have surgery. Carol Zhao, a Stanford junior from Canada, lost in Saturday's doubles final at the $25,000 Morgan Run Women's Open in the San Diego suburb of Rancho Santa Fe. Third-seeded Jessica Pegula of Charleston, S.C., and Zhao fell to top-seeded Americans Asia Muhammad and Taylor Townsend 6-3, 6-4. Zhao was trying to win her third doubles title in a professional tournament and first outside of Canada. She triumphed in $25,000 tournaments in Granby in 2013 with Lena Litvak of the United States and Gatineau last year with Jessica Moore of Australia. Zhao reached the NCAA singles final last May, losing to fellow sophomore Jamie Loeb of North Carolina in Waco, Texas. Loeb turned pro in August. In the Morgan Run singles final, top-seeded Zhang Shuai will meet unseeded Vania King in a matchup of 27-year-olds. Zhang reached the Australian Open quarterfinals as a qualifier last month. She had been 0-14 in Grand Slam tournaments before stunning second-seeded Simona Halep in the opening round in Melbourne. King, a two-time Grand Slam champion in women's doubles, returned to competition last August after missing almost one year with a herniated disc in her neck. She did not have surgery. College men -- Logan Staggs, a sophomore from Tracy, defeated Maciek Romanowicz 6-4, 6-3 on Court 5 to give No. 4 UCLA a 4-3 victory over No. 29 and host Stanford. On Court 1, No. 19 Mackenzie McDonald of Piedmont and UCLA beat No. 4 Tom Fawcettt 6-3, 7-5. McDonald advanced to the semifinals of the $100,000 Tiburon Challenger and quarterfinals of the $100,000 Sacramento Challenger last October. The Bruins improved to 9-2, and the Cardinal dropped to 5-6. Dominic Thiem emphatically ended Sam Querrey's winning streak at eight matches on Friday. Thiem, seeded fourth, overwhelmed the unseeded Querrey 6-2, 6-2 in 57 minutes in the semifinals of the Abierto Mexicano Telcel in Acapulco. Thiem, a 22-year-old Austrian, will meet fifth-seeded Bernard Tomic of Australia for the first time in today's final. Tomic, 23, beat unseeded Alexandr Dolgopolov of Ukraine 1-6, 6-4, 6-3. Querrey, a 28-year-old San Francisco native, won his eighth career title but first since 2012 last week in Delray Beach. BNP Paribas Open -- Four-time champion Roger Federer, who underwent arthroscopic knee surgery on Feb. 3, has withdrawn from the March 7-20 tournament in Indian Wells. Federer had played Indian Wells for 15 consecutive years, winning the title from 2004 through 2006 and in 2012. He has been the runner-up to Novak Djokovic for the past two years. Federer, 34, entered the clay-court Monte Carlo Masters, scheduled for April 10-17. ITF Women's Circuit -- Defending champion CiCi Bellis, 16, of Atherton in the San Francisco Bay Area, lost to veteran Vania King of Long Beach 6-3, 6-4 in the quarterfinals of the $25,000 Morgan Run Women's Open in the San Diego suburb of Rancho Santa Fe. In an all-American doubles semifinal, Bellis and Jacqueline Cako fell to top-seeded Asia Muhammad and Taylor Townsend 6-1, 6-3. Muhammad and Townsend will play third-seeded Jessica Pegula of Charleston, S.C., and Carol Zhao, a Stanford junior from Canada. Pegula and Zhao edged unseeded Mayo Hibi, an Irvine product who plays for her native Japan, and Grace Min of Boca Raton, Fla., 6-1, 3-6 [14-12]. College women -- Freshman Olivia Hauger outlasted Brianna Morgan 4-6, 7-5, 6-4 on Court 5 to lift No. 1 Cal over No. 7 Florida 4-3 in Berkeley. The Bears improved to 10-0, and the Gators dropped to 5-1. College men -- Max de Vroome upset Tom Fawcett on Court 1, leading No. 13 USC over No. 29 and host Stanford 5-2. De Vroome, ranked 65th, topped Fawcett, ranked fourth, 6-5, 2-6, 6-2. The Trojans are 7-2, and the Cardinal is 5-5. Sam Querrey advanced to the semifinals in Acapulco. Sam Querrey dominated the three-week Challenger swing through Northern California in 2014. Taylor Fritz did so last year. The native Californians met for the first time on Thursday, with Querrey prevailing 2-6, 6-4, 6-4 in the quarterfinals of the hardcourt Abierto Mexicano Telcel in Acapulco. Querrey, who at 28 is 10 years older than Fritz, won the title in Delray Beach last week and upset No. 2 seed Kei Nishikori of Japan in the second round in Acapulco. Fritz reached his first ATP final two weeks ago in Memphis and ousted eighth-seeded Jeremy Chardy of France in the first round in Acapulco. Fritz will become the youngest player in the top 100 on Monday, jumping from No. 102 to about No. 82. Querrey, originally from San Francisco, swept the Napa, Sacramento and Tiburon Challengers in 2014. Fritz, a lifelong resident of Rancho Santa Fe in the San Diego area, won Sacramento and Fairfield (which replaced Napa) last October, and did not play in Tiburon. Querrey will play No. 4 seed Dominic Thiem, a 22-year-old Austrian who beat No. 7 seed and 2014 champion Grigor Dimitrov of Bulgaria 7-5, 6-2, for the first time. Thiem won the title in Buenos Aires on clay two weeks ago, surprising Rafael Nadal in the semifinals. In the other semifinal, fifth-seeded Bernard Tomic of Australia will meet Alexandr Dolgopolov of Ukraine. Dolgopolov knocked off top-seeded David Ferrer, a 33-year-old Spaniard who won his fourth Acapulco title last year. 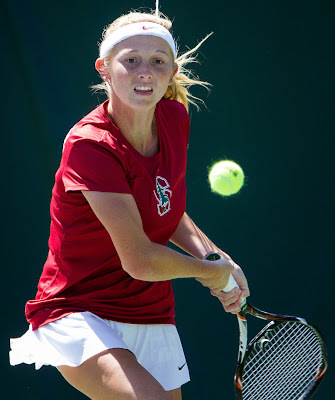 ITF Women's Circuit in Rancho Santa Fe -- Defending champion CiCi Bellis, 16, of Atherton in the San Francisco Bay Area reached the quarterfinals of the $25,000 Morgan Run Women's Open with a 6-2, 6-3 victory over qualifier Aleksandra Wozniak of Canada. Bellis, the runner-up in last week's $25,000 Surprise (Ariz.) Tennis Classic, will face 27-year-old veteran Vania King of Long Beach for the first time. King, a two-time Grand Slam champion in women's doubles, took out seventh-seeded Alla Kudryavtseva of Russia 4-6, 6-2, 6-3. Bellis also advanced to the doubles semifinals with countrywoman Jacqueline Cako. Sam Querrey said he played "ugly tennis" throughout the Delray Beach (Fla.) Open. It was still good enough for the 28-year-old San Francisco native to win his first singles title in four years. Querrey topped Rajeev Ram of Carmel, Ind., 6-4, 7-6 (6) today in only the second final between unseeded players in the tournament's 24-year history. Querrey, 6-foot-6 (1.98 meters), overcame early breaks in each set and deficits of 0-3, 2-5 and 5-6 in the tiebreaker. "It was kind of nervous, ugly tennis all week," Querrey told reporters after winning his eighth career singles title. "But sometimes it feels better to win when you don't play your best." Another San Francisco native, 16-year-old CiCi Bellis, lost to countrywoman Jamie Loeb 3-6, 6-1, 6-3 in the final of the $25,000 Surprise (Ariz.) Tennis Open. Querrey -- who lives in the tax haven of Las Vegas, where he spent part of his childhood -- jumped 18 places to No. 43 in the world. He reached a career-high No. 17 in 2011. Ram, who will turn 32 next month, soared 29 spots to a career-high No. 60. Both players have excelled in Northern California. Querrey won the doubles title in the now-defunct SAP Open in San Jose with Mardy Fish in 2010 and swept the singles titles in the three-week NorCal Challenger swing through Napa, Sacramento and Tiburon in 2014. Ram reached the singles final of the Sacramento Challenger 10 years ago, losing to since-retired Paul Goldstein, and took the doubles crown in the 2011 SAP Open with Scott Lipsky. In the Delray Beach doubles final, unseeded Oliver Marach of Austria and Fabrice Martin of France escaped six match points to stun top-seeded Bob and Mike Bryan 3-6, 7-6 (7) [13-11]. The 37-year-old Bryan twins led 9-5 in the match tiebreaker. They were seeking their third straight Delray Beach title and fifth overall. Goldstein, Lipsky and the Bryans all starred at Stanford. Bellis, an amateur who lives near Stanford in Atherton, committed 12 double faults and won only 12 of 38 points (32 percent) of the points on her second serve. Loeb, a 20-year-old product of the John McEnroe Tennis Academy in New York, won her fifth singles title in a professional tournament. Loeb won the NCAA singles title last May as a sophomore at North Carolina, captured the doubles title in the inaugural Stockton Challenger in July with former North Carolina All-American Sanaz Marand and turned pro in August. San Francisco natives Sam Querrey and CiCi Bellis on Saturday reached singles finals in U.S. professional tournaments. The unseeded Querrey, a 28-year-old resident of Las Vegas, defeated wild card Juan Martin Del Potro of Argentina 7-5, 7-5 in a matchup of 6-foot-6 (1.98-meter) players in the Delray Beach (Fla.) Open on the ATP World Tour. The eighth-seeded Bellis, a 16-year-old amateur from Atherton in the San Francisco Bay Area, dismissed U.S. qualifier Chiara Scholl 6-3, 6-0 in 48 minutes in the $25,000 Surprise (Ariz.) Tennis Open. Del Potro, the 2009 U.S. Open and 2011 Delray Beach champion, was playing in his first tournament since last March. The 27-year-old right-hander, who has a two-handed backhand, underwent the third operation on his left wrist last June. Del Potro also had right wrist surgery in 2010. Del Potro, 18-year-old American Taylor Fritz and Australian Open quarterfinalist Zhang Shuai of China received wild cards into the BNP Paribas Open, March 7-20 at Indian Wells, the tournament announced this week. Querrey will meet unseeded Rajeev Ram of Carmel, Ind., today at noon PST (Tennis Channel). The 6-foot-4 (1.93-meter) Ram, who will turn 32 next month, beat fourth-seeded Grigor Dimitrov of Bulgaria 6-4, 6-3. Querrey is 5-2 against Ram with a three-match winning streak. In their last meeting, Querrey won 6-3, 7-6 (4) in the semifinals at Los Angeles in 2012 en route to the last of his seven singles titles. Former Stanford All-Americans Bob and Mike Bryan, seeded first, will play unseeded Oliver Marach of Austria and Fabrice Martin of France in the doubles final (10 a.m. PST, Tennis Channel). The Bryan twins, 37, seek their third straight Delray Beach title and fifth overall. Scholl, 23, committed seven double faults against Bellis and won only three of 22 points (14 percent) on her second serve. Bellis, who has lost only 13 games in four matches and won a set 6-0 in her last three, will face unseeded American Jamie Loeb for the first time today. Loeb, who turned pro last summer after winning the NCAA singles title as a sophomore at North Carolina, topped 17-year-old Sofia Kenin of Pembroke Pines, Fla., 7-5, 6-2. Colleges -- Mads Engsted defeated No. 119 Michael Genender 7-6 (1), 3-6, 7-5 on Court 6 to give the visiting Cal men, ranked 18th, a 4-3 over No. 22 Stanford. The Bears are 5-1, and the Cardinal is 5-4. The top-ranked Cal women defeated No. 22 UCLA 5-2 in Los Angeles to improve to 8-0. The Bruins fell to 5-3. Two San Francisco natives on Friday reached semifinals in U.S. professional tournaments. 6-7 (1), 7-6 (4), 6-4 in Delray Beach, Fla., on the ATP World Tour. 5-foot-3 (1.61 meters), 6-0, 1-0, retired in the $25,000 Surprise (Ariz.) Tennis Classic. 2-0, but the last meeting came in 2011. Del Potro, the 2009 U.S. Open and 2011 Delray Beach champion, is playing in his first tournament since last March. The 27-year-old right-hander, who has a two-handed backhand, underwent the third operation on his left wrist last June. Del Potro also had right wrist surgery in 2010. Bellis, an amateur from Atherton in the San Francisco Bay Area, will play qualifier Chiara Scholl, a 23-year-old American, for the first time. Cal women -- Freshman Olivia Hauger clinched a dual-match win for the second consecutive time as the No. 1 Bears overwhelmed No. 11 USC 6-1 in Los Angeles. Hauger, ranked No. 102, defeated No. 90 Rianna Valdes 6-4, 6-3 on Court 5 after sealing Cal's 4-3 victory over North Carolina in the final of the ITA National Women's Team Indoor Championship on Feb. 8. Hauger was named the tournament's Most Outstanding Player. The Trojans' victory came on Court 1 as No. 38 Giuliana Olmos, a junior from Fremont in the Bay Area, beat No. 13 Maegan Manasse 6-3, 6-3. Cal (7-0) will play at No. 22 UCLA today at 1 p.m.
final of the Bank of the West Classic at Stanford last August. Biggest upset -- Speaking of German left-handers, seventh-seeded Angelique Kerber shocked jittery Serena Williams 6-4, 3-6, 6-4 for her first Grand Slam title. The 28-year-old Kerber, who lost in the first round of last year's Australian Open and survived a match point in the opening round this year, was playng in her first major final. She defeated Karolina Pliskova of the Czech Republic to win the Bank of the West Classic at Stanford last August. Williams was attempting to tie Steffi Graf of -- yep, Germany -- for second place on the all-time list with 22 Grand Slam singles titles. Margaret Court of Australia has 24. Biggest choke -- Williams, a three-time Bank of the West champion (2011, 2012 and 2014), gagged for the second straight Grand Slam tournament. Trying to complete the first calendar-year Grand Slam since Graf in 1988, Williams lost to unseeded Italian Roberta Vinci, playing in her first major semifinal at age 32, in the U.S. Open semifinals in one of the biggest upsets in sports history. Most underappreciated player -- Novak Djokovic is quietly climbing on the list of all-time greats. The 28-year-old Serb won his sixth Australian Open crown, matching Aussie Roy Emerson, and tied Rod Laver and Bjorn Borg for fifth place with 11 Grand Slam singles titles. Djokovic almost inevitably will top Emerson (12), likely will surpass Pete Sampras and Rafael Nadal (14 each) and could challenge Roger Federer's record of 17. Nadal, who will turn 30 in June, hasn't won a Slam since the 2014 French Open but could add to his total. Best matches -- No. 30 seed Jeremy Chardy of France outlasted Ernests Gulbis of Latvia 7-5, 2-6, 6-7 (5), 6-3, 13-11 in the first round. Daria Gavrilova, a Moscow-born Australian who won the doubles title in the 2014 Sacramento Challenger, upset No. 28 Kristina Mladenovic of France 6-4, 4-6, 11-9 in the third round. Biggest breakthrough -- Zhang Shuai, a 27-year-old Chinese qualifier, was 0-14 in Grand Slam main draw matches and contemplating retirement when she stunned second-seeded Simona Halep 6-4, 6-3 in the opening round. Zhang advanced all the way to the quarterfinals before falling to rising star Johanna Konta 6-4, 6-1.
the Sydney semifinals the following week. Five days after losing to Zhang, Halep revealed that she had been struggling with nose, ear and stomach infections. She announced that she would have nose surgery and be out of action until March but later postponed the operation indefinitely. Meanwhile, the tailspins of two former No. 1 players continued with first-round losses. The fifth-seeded Nadal fell to 32-year-old Fernando Verdasco, the 2010 champion of the now defunct SAP Open in San Jose, 7-6 (6), 4-6, 3-6, 7-6 (4), 6-2 in a 4-hour, 41-minute battle of Spanish left-handers. Caroline Wozniacki, seeded 16th, exited against 5-foot-4 (1.63-meter) Yulia Putintseva of Kazakhstan 1-6, 7-6 (3), 6-4. Other than reaching the U.S. Open final for the second time in 2014, Wozniacki has not advanced to a Grand Slam quarterfinal since the 2012 Australian Open. Most emotional match -- Australia's Lleyton Hewitt, a future Hall of Famer, ended his singles career with a 6-2, 6-4, 6-4 second-round loss to eighth-seeded David Ferrer of Spain under the lights at Rod Laver Arena. Afterward, video tributes to Hewitt from Federer, Nadal and Andy Murray were shown in the arena. "It was an unbelievable atmosphere out there," said Hewitt, who won the 2002 SAP Open and reached the 2006 final. "A couple of the roars during the match tonight were as loud as I've ever played in front of. I was getting goose bumps at times." Three days later, a third-round loss in men's doubles sent Hewitt into retirement exactly one month before his 35th birthday. The 5-foot-10 (1.78-meter) Hewitt won three Grand Slam titles (two in singles and one in men's doubles) and played on two Davis Cup championship teams. He remains the youngest man to reach No. 1, at 20 years, 8 months in 2001. That's one month younger than Marat Safin of Russia in 2000. Best supporting actor -- A Murray won an Australian Open title, but not Andy. Seventh-seeded Jamie Murray, Andy's older brother, of Great Britain and Bruno Soares of Brazil triumphed in men's doubles in their first Grand Slam tournament together. Murray earned his first Grand Slam men's doubles title in his third straight major final. Bridesmaid award -- Andy Murray dropped to 0-5 in Australian Open singles finals, a record for futility in a Slam. Most stressed-out player -- Andy Murray did well to reach the final while his wife, Kim, was back home in Great Britain awaiting the birth of their first child and her father and Ana Ivanovic's coach, Nigel Sears, collapsed during Ivanovic's third-round night match against Madison Keys. Sears was removed on a stretcher and taken to a hospital. He flew home the next day and returned to the practice court with Ivanovic on Wednesday in Manchester, England. He said bad sushi caused his woes. Biggest downer -- Match-fixing allegations overshadowed the beginning of the tournament. The BBC and Buzzfeed News reported that tennis authorities had been warned about 16 players but failed to sanction them. Half of the players were entered in the Australian Open, according to the reports. All have been ranked in the top 50; none were identified. ATP chairman Chris Kermode denied the charges but later announced that an independent review of the tennis' anti-corruption unit would be commissioned to restore "public confidence in our sport." Worst-dressed -- Stan Wawrinka needs to add Stacy London and Clinton Kelly, the hosts of the 2003-13 television show "What Not to Wear," to his entourage. That coral and neon yellow number has got to go, pronto. Wawrinka won this award for a different outfit at last year's French Open, in which he earned his second Grand Slam singles title. Not crazy about Serena Williams' bright yellow two-piece get-up, either. 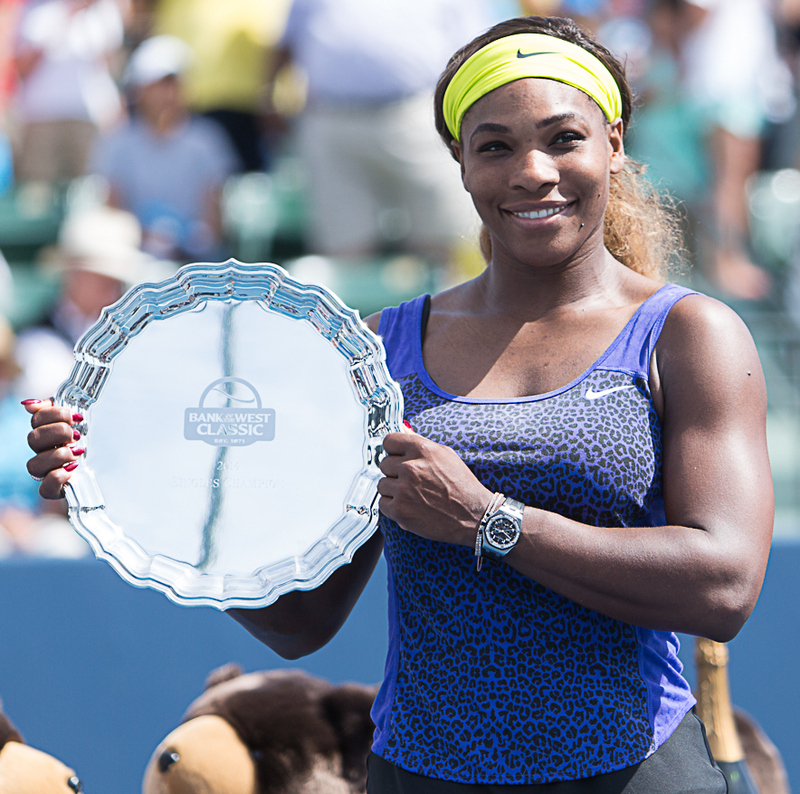 Hey, Serena, you have more money than Donald Trump. You can afford a whole outfit, for crying out loud. awards ceremony. It helps when you've won 21 Slams. Best TV commercial -- That ESPN spot in which Duke men's basketball coach Mike Krzyzewski asks a college kid to send former Blue Devil Justise Winslow of the Miami Heat a text message. "Sure, Bobby," the kid says to an oblivious Krzyzewski, as if confusing him with Bobby Knight. Krzyzewski thinks the student is relaying what he tells him, but the kid and Winslow actually are texting unrelated emojis back and forth. Most tiresome TV commercial -- Just as Wawrinka is monopolizing the worst-dressed award, Visit Melbourne is retiring this one. Last year, it was the "Forever Yours" jingle. This year, it was the "Far and Wide" poem. It's not that the commercials are bad. It's that they're aired every five minutes. I must have muted that thing 5,000 times during the tournament. As Jerry Seinfeld says on his hilarious "I'm Telling You for the Last Time" CD, "We all get it." Best quotes -- Kerber: "When I was match point down (in the first round), I actually had one leg in the plane back to Germany." Serena Williams, when someone suggested to her that she looked almost as happy as Kerber during the awards ceremony: "Really? I should get into acting." Andy Murray, while accepting the runner-up trophy: "I feel like I've been here before." Northern California, tennis capital of the United States? Not long ago, the notion would have been laughable. Now, though, NorCal can make a strong claim to that title. In a stunning achievement, Northern California has swept the No. 1 boys national singles rankings and earned five of the eight top spots overall. Even more surprising, three of the four top-ranked boys are from the Sacramento region rather than the far more populous San Francisco Bay Area. Heading the USTA boys rankings are Sam Riffice of Granite Bay in the 18s, Austen Huang of Elk Grove in the 16s, Stefan Leustian of Mather in the 14s and Hugo Hashimoto of San Jose in the 12s. Katie Volynets of Walnut Creek is ranked No. 1 in the girls 14s, and Sara Choy of Palo Alto is No. 2 in the girls 16s. Also, CiCi Bellis of Atherton in the Bay Area ended 2014 as the world's top junior, and the Cal women head the college rankings. Riffice, who will turn 17 on March 1, swept the boys 18 singles and doubles titles in the USTA Clay Court Championships in Delray Beach, Fla., last July and reached the boys 18 quarterfinals of the prestigious Orange Bowl on clay in Plantation, Fla., in December. He trains at the USTA center in Boca Raton, Fla.
Huang won the boys 16 singles title in the USTA National Winter Championships in late December and early January in Scottsdale, Ariz.
Leustian earned the boys 14s singles crown in the recent Les Petits As (Small Champions) in Tarbes, France, and advanced to the boys 14 singles final in the Winter Championships in Tucson, Ariz.
Past winners of Les Petits As, for 12s and 14s, include Rafael Nadal, Michael Chang, Martina Hingis and Kim Clijsters. Hashimoto won the boys 12s consolation singles title in the Winter Nationals. Volynets took the girls 14s singles crown in the USTA National Championships in Peachtree City, Ga., last August. Choy captured the girls 16s singles title in the Winter Nationals in Scottsdale. Other girls earning national No. 1 singles rankings were Sofia Kenin of Pembroke Pines, Fla., in the 18s, Natasha Subhash of Fairfax, Va., in the 16s and Elvina Kalieva of Pembroke Pines in the 12s. The Cal women, who were idle last week, remained No. 1 in the Intercollegiate Tennis Association rankings released today. The Bears (6-0), led by fifth-ranked Klara Fabikova, will visit No. 11 USC (3-2) on Friday and No. 22 UCLA (5-1) on Saturday. The Stanford women (3-2), who improved one spot to No. 13, will host No. 28 Fresno State (5-3) on Friday at 1:30 p.m. Meanwhile, the Cal men jumped six places to No. 18 after stunning then-No. 2 Texas Christian in Austin, Texas, on Feb. 7. The Bears (4-1) will play at No. 22 Stanford (5-3) on Saturday at 1 p.m.
North Carolina vaulted from No. 7 to No. 1 after upsetting Virginia, the reigning NCAA champion, on Monday to win the ITA National Men's Team Indoor Championships in Charlottesville, Va.
Virginia, with sophomore Collin Altamirano of Sacramento, slipped to No. 2. Collin Altamirano, 20-year-old Sacramentan -- No. 813 in singles (no change), 968 in doubles (+3). Bob Bryan, 37-year-old former Stanford star -- No. 3 in doubles (+2), unranked in singles. Mike Bryan, 37-year-old former Stanford star -- No. 4 in doubles (+2), unranked in singles. Scott Lipsky, 34-year-old former Stanford star -- No. 39 in doubles (-1). Mackenzie McDonald, 20-year-old resident of Piedmont in San Francisco Bay Area -- No. 380 in singles (-2), No. 576 in doubles (-1). Dennis Novikov, 22-year-old resident of Milpitas in San Francisco Bay Area -- No. 148 in singles (+2), No. 166 in doubles (+1). Sam Querrey, 28-year-old San Francisco native -- No. 61 in singles (-3), No. 37 in doubles (no change). Matt Seeberger, 31-year-old San Francisco native and former UC Santa Cruz star -- No. 157 in doubles (no change). Dmitry Tursunov, 33-year-old resident of Folsom in Sacramento area -- No. 262 in doubles (+1). Kristie Ahn, 23-year-old former Stanford star -- No. 208 in singles (no change), No. 437 in doubles (+3). Raquel Atawo (formerly Kops-Jones), 33-year-old San Jose resident and former Cal star -- No. 19 in doubles (no change). CiCi Bellis, 16-year-old resident of Atherton in San Francisco Bay Area -- No. 215 in singles (+2), career-high No. 365 in doubles (+3). Alexandra Facey, 23-year-old product of Cameron Park in Sacramento area -- No. 621 in doubles (+4). Kat Facey, 23-year-old product of Cameron Park in Sacramento area -- No. 621 in doubles (+4). Nicole Gibbs, 22-year-old former Stanford star -- No. 103 in singles (+2), career-high No. 139 in doubles (+4). Michaela Gordon, 16-year-old resident of Saratoga in San Francisco Bay Area -- Career-high No. 604 in singles (+1), career-high No. 701 in doubles (+6). Maegan Manasse, 20-year-old Cal junior -- No. 530 in doubles (no change), No. 760 in singles (-1). Maria Sanchez, 26-year-old Modesto product -- Career-high No. 76 in doubles (no change), No. 181 in singles (-1). Karina Vyrlan, 17-year-old Sacramentan -- Career-high No. 934 in doubles (+2). Carol Zhao, 20-year-old Stanford junior -- Career-high No. 178 in doubles (+1), No. 338 in singles (+3). Dubai (women), early rounds, midnight-2 a.m.
Marseille (men), Rio de Janeiro (men/women), Delray Beach (men), Dubai (women), early rounds, 2-5 a.m. (live). Delray Beach (men), early rounds, 5-7 p.m. (live). Dubai (women), early rounds, 7-9 p.m. (repeat). Dubai (women), quarterfinals, midnight-2 a.m.
Marseille (men), Rio de Janeiro (men/women), Delray Beach (men), Dubai (women), quarterfinals, 2-5 a.m. (live). Delray Beach (men), quarterfinals, 5-7 p.m. (live). Dubai (women), quarterfinals, 7-9 p.m. (repeat). Marseille (men), Rio de Janeiro (men/women), Delray Beach (men), Dubai (women), semifinals, 6 a.m.-5 p.m. (live). Delray Beach (men), semifinals, 5-7 p.m. (live). Dubai (women), semifinals, 7-9 p.m. (repeat). Marseille (men), final, 6-8 a.m. (live), 3:30-5 p.m. (repeat). Dubai (women), final, 8-10 a.m.
Delray Beach (men), final, 10 a.m.-1:30 p.m. (live). Rio de Janeiro (men), final, 1:30-3:30 p.m. (live), 7-9 p.m. (repeat). Friday -- Cal women at USC, 1:30 p.m.
Saturday -- Cal women at UCLA, 1 p.m.
Saturday -- Cal men at Stanford, 1 p.m.
Sunday -- Sacramento State women at UC Davis, 11 a.m.
Feb. 26 -- Florida women at Cal, noon. Feb. 26 -- USC men at Stanford, 3 p.m.
Feb. 27 -- UCLA men at Stanford, 1 p.m.
Feb. 28 -- Florida women at Stanford, noon. March 2-6 -- Little Mo Internationals, Rancho Las Palmas Resort & Spa, Rancho Mirage, Calif.
March 3-6 -- Pacific Coast Men's Doubles Championship (including Cal, Stanford, UC Davis), La Jolla, Calif.
March 4-6 -- Davis Cup, first round, United States at Australia. March 12-13 -- Hornet-Aggie Golden State Invitational (men) at Sacramento State and UC Davis, times TBA. April 2-10 -- Easter Bowl, Indian Wells, Calif.